Libraries help kids and teens succeed in school. That’s why NYC libraries are pleased to announce a one-time fine amnesty. So visit Queens Library today! Borrow books, participate in programs and have fun. We welcome you. 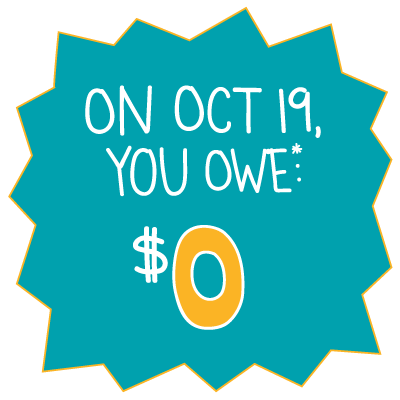 * Please note: Items due after October 19 will continue to accrue fines. Fines for ages 17 and under will be automatically cleared. High school students ages 18 and up can have their fines cleared in person through November 2, 2017. Discover millions of free books, from popular kids’ series to graphic novels and more. Plus, find e-books, audiobooks, CDs, DVDs, and more! Check out tons of programs that are educational AND fun, from hands-on science workshops and tech clubs to book talks, crafts, and games. Connect to the Internet and log in to free public computers and laptops at any location. Spend time with friends after school or on weekends in a fun and welcoming environment. Find plenty of resources in the library or online to help you with your homework or school projects. Enjoy special programs welcoming kids and teens to Queens Library. Keep a list of due dates on your refrigerator or write them on a calendar. You can find your due dates on your receipt or by logging into your account online. Pick a spot at home to keep your library books, like in a tote bag or on a shelf, so you always know what you have checked out. Ask a librarian, use self-check machines, or log into your account to extend your due date. You can also renew over the phone by calling 718-990-8508. Young Queens Library customers can also take advantage of Read Down Your Fees, an ongoing fine forgiveness program that enables young people to reduce their fines by reading in the library. Learn More. This initiative is supported by the JPB Foundation.